Across Staten Island, countless local farms, haunted attractions, kids play places, schools, and other local venues are transforming into a fun-filled Fall Festivals & Parties - perfect for the little ones! Halloween Parties are a great way to get your child into the Halloween spirit - there's trick or treating, pumpkin decorating, and tons of not-so-scary fun that's perfect for little goblins and ghouls. BANE Haunted Attraction Livingston 197 days ago Rate Now! 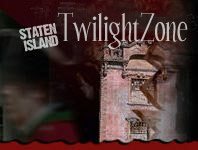 Halloween in Richmond Town Staten Island 184 days ago Rate Now! Maple Leaf Farms Funfest Manalapan 211 days ago Rate Now! Norz Hill Farm & Market, LLC Hillsborough 358 days ago Rate Now!